The Brand New Splash Jammer incontinence short for adults are designed to give you all the protection of a incontinence swim short but in a stylish and sporty design. Allowing you a to focus on enjoying the water and not worry about faecal accidents. Technically designed to mold to your child’s body and move as they move. The Jammers are secured by a snug, yet comfortable rib at the waist and medical grade silicone at the thigh, making them the most reliable incontinence swim short on the market. Made from super soft neoprene in unisex sporty designs these form fitted incontinence shorts are ideal for those people requiring extra support due to faecal incontinence weakness. 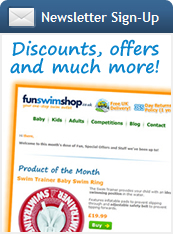 Splash Jammers are made to look exactly like normal swimwear meaning no one needs to know and you can simply get on with enjoying all the benefits of swimming with none of the worry of accidents.